If you like the presentation ideas shown here you can download the various elements below and re-create the look for yourself. 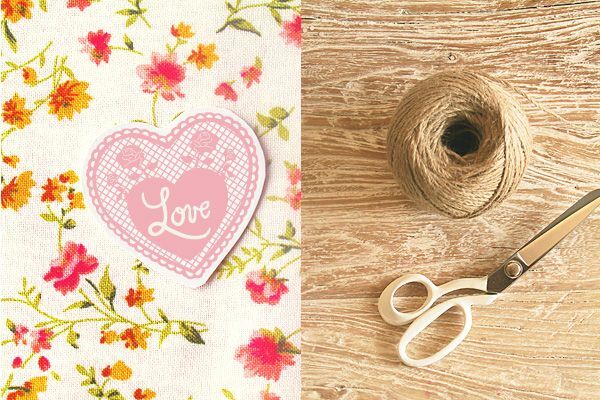 Love_Heart_Doily_Label – Print onto white textured card and cut around border with scissors. Stick onto bottle with double-sided tape. 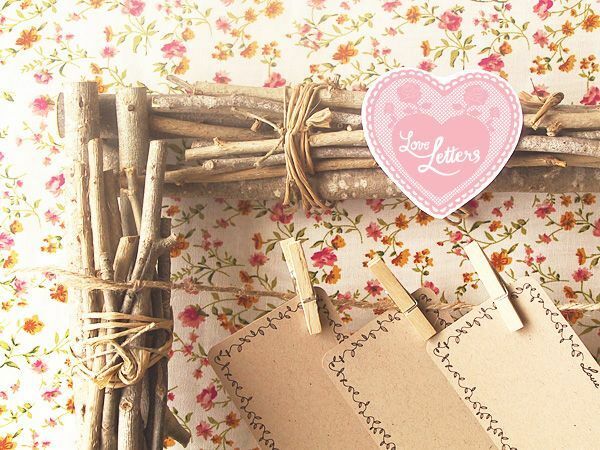 Loveletter_Heart_Doily_Label – Print onto white textured card and cut around border with scissors. 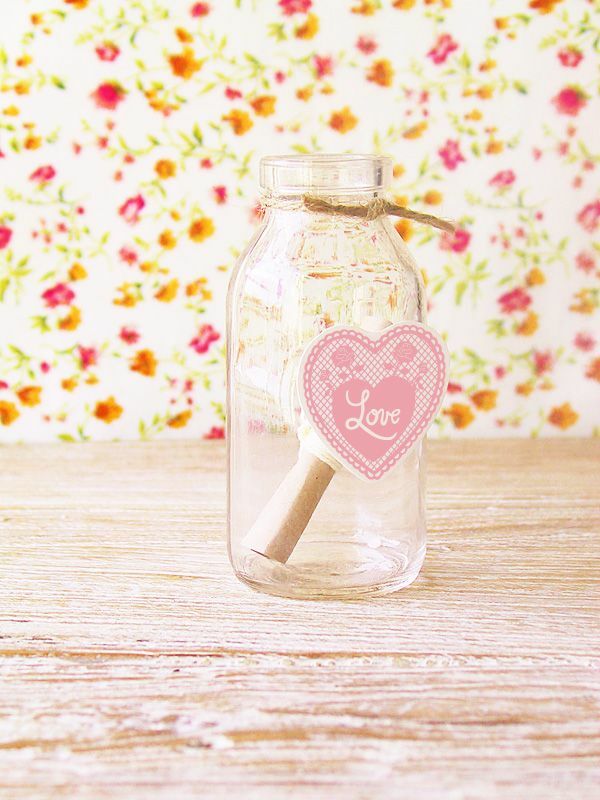 Stick onto bottle with double-sided tape or punch a small round hole at top, slip some twine through hole and tie to jar. Notepaper_Template – Use the PDF template to write your own message (IMPORTANT: You must download and install this free Travelling Typewriter font from Dafont to be able to use the template) then print onto paper of your choice. (I would recommend kraft paper for this design) Two of the sheets in the template can be edited to create your message, two are blank for your guests to use. If this motif is not for you but you still want to utilize the idea then find or create your own labels that are more suitable for your wedding theme. - Cheap small bottles, one for each guest. - Large jar- one for each table. - Attractive pens for guests to write their messages. - Decorative twine or ribbon to tie around the neck of each bottle. - Labels for each bottle and for centerpiece jar. Source, or create your own or download my designs above. - Colour Printer for labels. - Scissors for cutting out the heart labels. 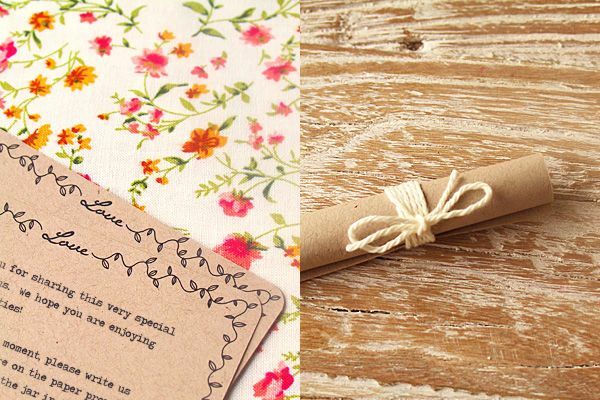 - String, twine or ribbon to tie around each scroll. - Notepaper – Source your own or download my design above. If you use my template, make sure to download and install this font first. - Cutting board, scalpel and ruler to cut out notepaper designs. - Present bottle as part of each guest table-setting. 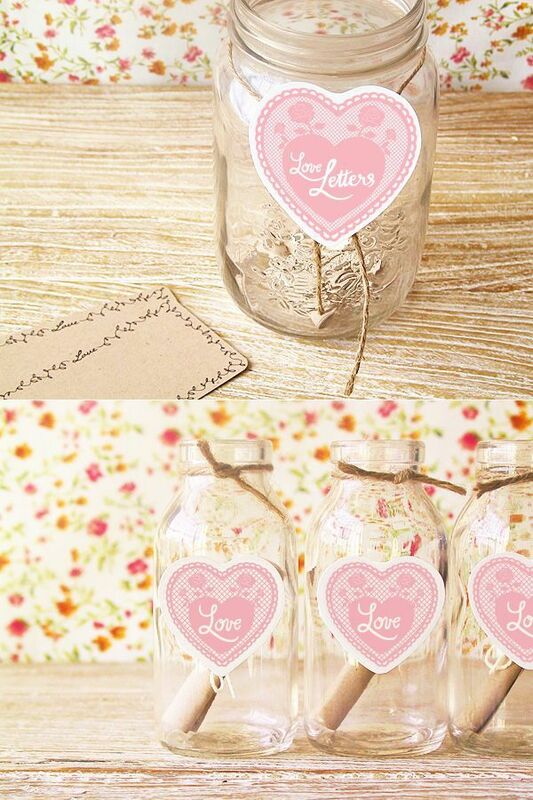 - Include some colored confetti and/or small candy at the bottom of each jar. - Personalize by attaching a mini gift tag to the neck of the bottle with the date and bride and groom names. - Include a little sticker inside the bottle so that when guests write back to you they can seal their scroll. - Instead of using the same type of bottle for all guests, mix and match different shaped bottles. 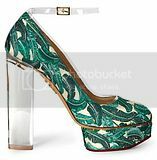 Hi, it's akilovessweets from swap-bot. I think this is a beautiful idea, would you mind if I link others to this site through my site?